Isiah Factor | The Insite » HAVE THE LATEST DEVELOPMENTS SHOCKED YOU IN THE NORTH LOOP FIRE? HAVE THE LATEST DEVELOPMENTS SHOCKED YOU IN THE NORTH LOOP FIRE? April 8, 2007 | Posted in Uncategorized | Comments Off on HAVE THE LATEST DEVELOPMENTS SHOCKED YOU IN THE NORTH LOOP FIRE? I was shocked when Insite Street Team Member Torrey ‘T-Dub’ Walker called and told me the latest in the North Loop fire two weeks ago. I could not believe a nurse was allegedly responsible for such a catastrophe. What are your feelings now that you know a nurse allegedly started this fire? By the way, The Insite is still out of town and will be back in Houston on Monday! A licensed vocational nurse arrested for starting a fire in her office that killed three people and injured six others last month was scheduled to make her first court appearance on Tuesday. 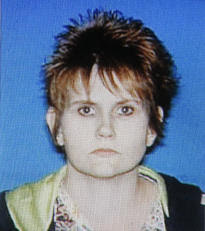 Misty Ann Weaver, 34, was charged with three counts of felony murder and one count of first-degree arson. The fire March 28 spread throughout the fifth floor of a six-story building near a busy 10-lane highway during the evening rush hour. Weaver was in jail on Sunday, said Harris County Sheriff’s Department spokesman Lt. John Martin. She did not appear to have an attorney yet, he said. Her bonds for all four charges totaled $330,000. Attempts to contact Weaver’s home were not successful Sunday as her phone number was not listed in local directories. According to authorities, Weaver started the fire because she neglected to finish an accreditation audit that was due to her boss, a plastic surgeon, and feared losing her job because of it. Weaver thought starting a small fire would postpone the audit, investigators said. Investigators did not say how Weaver allegedly started the blaze.